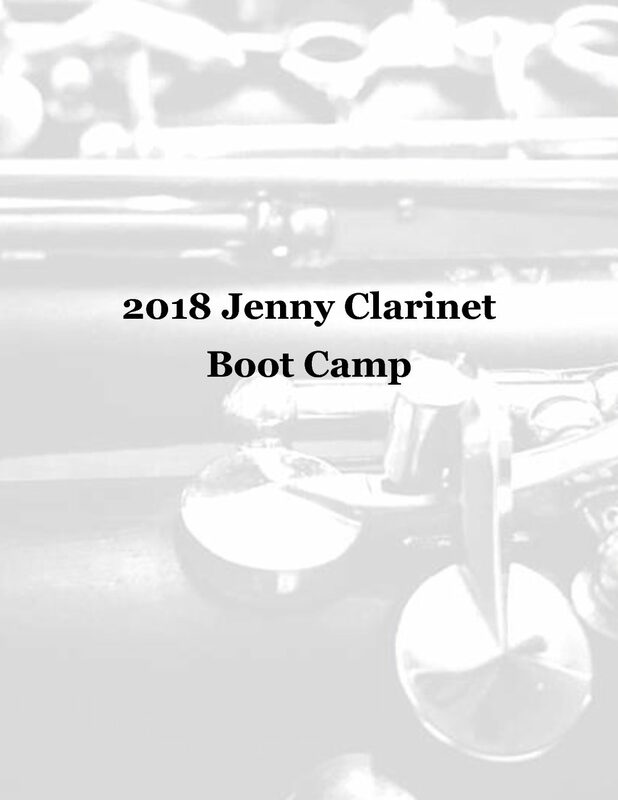 The 2018 Jenny Clarinet Boot Camp is a downloadable practice plan and guide created to improve clarinet fundamentals. Each month contains a different method book or solo work, which I have organized into daily assignments. Each day features specific exercises to be incorporated into your practice routine. Make 2018 the year of building technique and improving fundamentals! Here is a sample boot camp. Each month includes instructions and advice for each book or piece. For less than $1 a month, you can turbocharge your practice routine! If you would like to purchase the 2018 Jenny Clarinet Boot Camp for $11.95, please contact me using the Contact page on this site, and I will send you payment instructions. Here’s to making 2018 the year of great fundamentals! Please send details of Clarinet Bootcamp!